Editor’s Note: I grew up in LA so it’s been pretty interesting to follow the whole Donald Sterling/Clippers saga over the past few days in the media. We now know that he’s been banned from the NBA for life, will be fined $2.5 million and forced to sell the team. But there aren’t many people talking about the tax implications of a possible sale. Everyone these days is searching for a tax loophole; and you don’t have to be a millionaire to save on taxes that you might otherwise owe. One of the biggest loopholes in the Internal Revenue Code can be found in Section 1014(a), and is commonly referred to as the “stepped-up basis.” There’s one big wrinkle though: it’s only triggered by death. Generally, if you own property (real estate, stocks, bonds, etc. ), the government taxes the difference between the price you paid for the property (the “basis”) and the price at which you sell the property (the “sale price”). Here’s a very simplified example: you bought stocks for $100K in 1980, and in 2014 you decide to sell those stocks for $1M. While you didn’t have to pay income taxes as the stocks appreciated, you do have to pay capital gains taxes once you sell it. In this scenario, you had a capital gain of $900K ($1M minus $100K), and will be taxed on that amount. Rough. That being said, there’s a way to avoid paying those taxes: don’t sell the property, and die. This is where the stepped-up basis rule springs into action. Once your estate distributes that property to your heirs, the basis of the property rises to the fair market value at the time of your death. Thus, if your heirs decide to sell your stocks right after you pass away, there should be little to no capital gains taxes for them to pay. In California, and other community property states, the stepped-up basis rule can be triggered by the death of one spouse, even if the other survives. For example, if you and your spouse own an investment together as community property, the basis rises to the fair market value for the entire community asset (not merely the decedent’s ½ interest), as of the date of your spouse’s death. The surviving spouse can sell the investment the next day and completely avoid capital gains taxes. The stepped-up basis will also play a significant role in the life (and death) of Donald Sterling, an angle that few in the media are discussing. As it currently stands, the 29 other NBA owners will soon vote to force him to sell his investment property, The Clippers. At age 80, he was probably hoping to hold on to the Clippers until death, bequeathing the asset to his heirs, who would receive a massive stepped-up basis. Sterling bought the team for about $12M; the Clippers could now fetch over $1B. If he is forced to sell the team during his lifetime, and there is a billion dollar capital gain, Sterling will likely owe more than $300M in Federal and California state taxes. But, if he is able to drag out litigation against the NBA until he dies, and bequeath the team to his heirs, the basis on the Clippers will be stepped up to the fair market value as of the date of his death. While his estate will still be taxed handsomely, his heirs would lose out on a couple hundred million that Sterling had to pay out after a sale. That’s a penalty much greater than the $2.5M one imposed by the NBA. Alternatively, if his wife dies while he still owns the team (assuming that the team is community property), a stepped-up basis would also occur. For Sterling, this might be the best of all possible worlds: a billion dollar stepped-up basis and the freedom to finally marry V. Stiviano. here ‘s the real question. 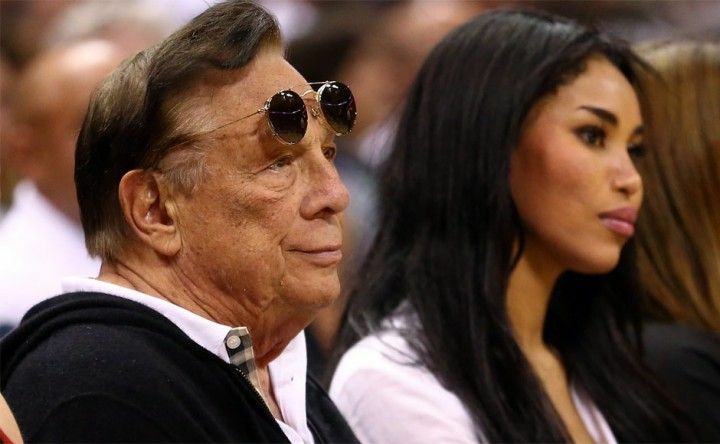 will the other Owners of existing NBA teams authorize the expenditure of MILLIONS of their own dollars in legal fees to try to strip Donald Sterling of his ownership of the Clippers KNOWING FULL WELL that such action will set a precedent that eventually may come back to bite them on their own posterior. no, the team won’t be sold because it’s in a family trust and the NBA is not going to spend the money in legal fees that will be required to take this to court. more importantly, all the Sterling family has to tank the Clippers into Chapter 11 in Federal Bankruptcy Court and, effectively, they’ll take everything off the table for at least one (1) year. Great point, I think the owners are in a tough spot because obviously what Sterling said was super wrong but the way in which he got busted sets a scary precedent. I’ve said some pretty f’d up stuff when I was wasted. If someone recorded me and sent it to my boss, would that be grounds to fire me?? Jason Whitlock had a great column on this. Donald Sterling will realize that if he doesn’t sell the team, the sponsors will leave, then the players, and then the fans. His team is worth more now than it ever has been. There are more Clippers fans than ever. Perhaps he will reach a deal with the league where the league will pay him several million to sell the team and avoid litigation. However, if he fights this battle, his team value will plummet, and nobody will support the Clippers.